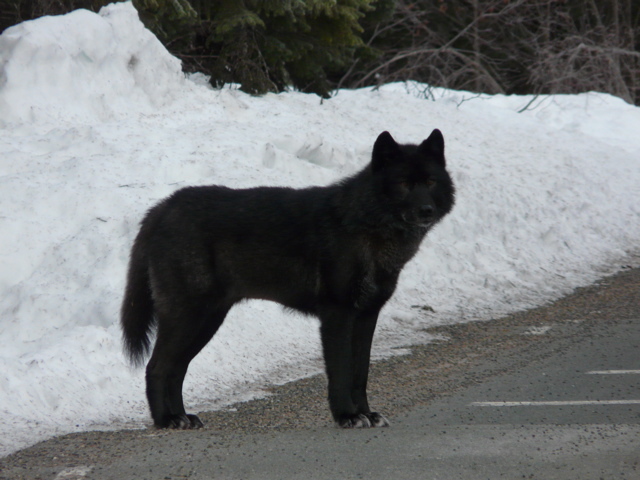 As many of you know, my blog post, “Romeo: A Lone Wolf’s Tragedy in Three Acts” was selected for publication in Scientific American’s Best Science Writing Online 2012, an anthology featuring more than 50 of the best science blog posts of 2011. Well I am excited to say that the anthology was released today in the US and will be released Friday in Canada. If you’re a regular reader here, then you’ve probably read my blog post already, but I really want to encourage you to order a copy of the book, for a couple of reasons. The photo of Romeo didn’t make it into the print version. To stand alone and work for readers who have no other context or a connection to your blog, that all needs to be cleaned up. So I spent hours working through the recommended changes from my editor at FS&G and did some of my own (somewhat obsessive) housekeeping along the way. I was happy with my online version, but I am much more proud of the print version. I’d really like everyone to see how it came out. And, there are 50 other reasons to buy the book — the other bloggers whose works are featured in it. If you’re not involved in the online science blogging community, you may not realize the breadth of what’s being covered out there and the quality of the writing that goes into presenting it. It’s extraordinary. Many of the bloggers are scientists in the field, PhD candidates, professors, mathematicians, science teachers– people who are passionate about their work and who want to share that passion with others. The other bloggers are people like me — writers or journalists who may or may not have a science background, but who are fascinated with science in general (or with a particular subset of science)and want to serve as a liaison between the scientists and the public. In both cases, the writers who are featured in this year’s anthology (and those of previous years) all share one trait — the ability to take a scientific concept and make it into an engaging and understandable story. So please take a moment, click through to Amazon (below) or request the book at your local independent bookstore. I guarantee you won’t be disappointed. 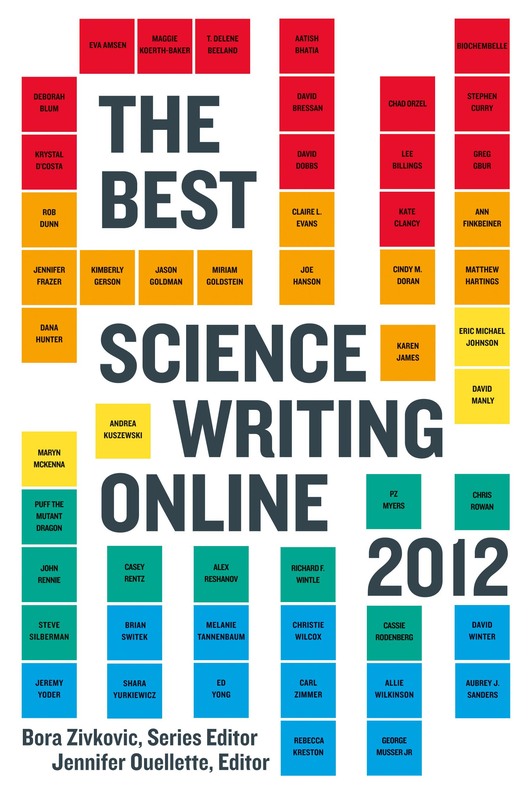 This really is an entertaining collection, from authors spanning the gamut from students to professors, hobbyist writers like myself to full-blown science journalists. It’s got pieces on poisons and publishing, space shuttles and sedimentary rocks, forests and fungi, and yes, genome science. I can’t tell you how many times that I read a piece in this collection and thought, “I wish I wrote as well as that.” And also “I wish I’d written that.” But I can tell you that the book is a compelling, illuminating, addictive journey through science and science story telling. NextThose Crafty Corvids: What will they think of next?